If you find yourself intermingled with stacks of fabric, a never ending rainbow of thread, and those dreaded unfinished projects. This book is for you! It holds space for 6 fiber art projects. Details that can be easily recorded before a project get set up for just a while can be easily remembered when it is picked up much later. and finally the joyful finished picture. 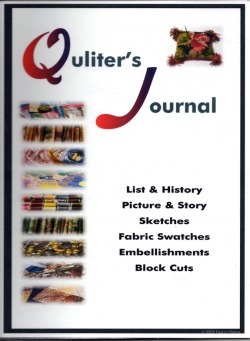 Soft cover and spiral bound for easy use this book should accompany every quilters library.